UPPER - Single panel upper for the softest most flexible fit ever. 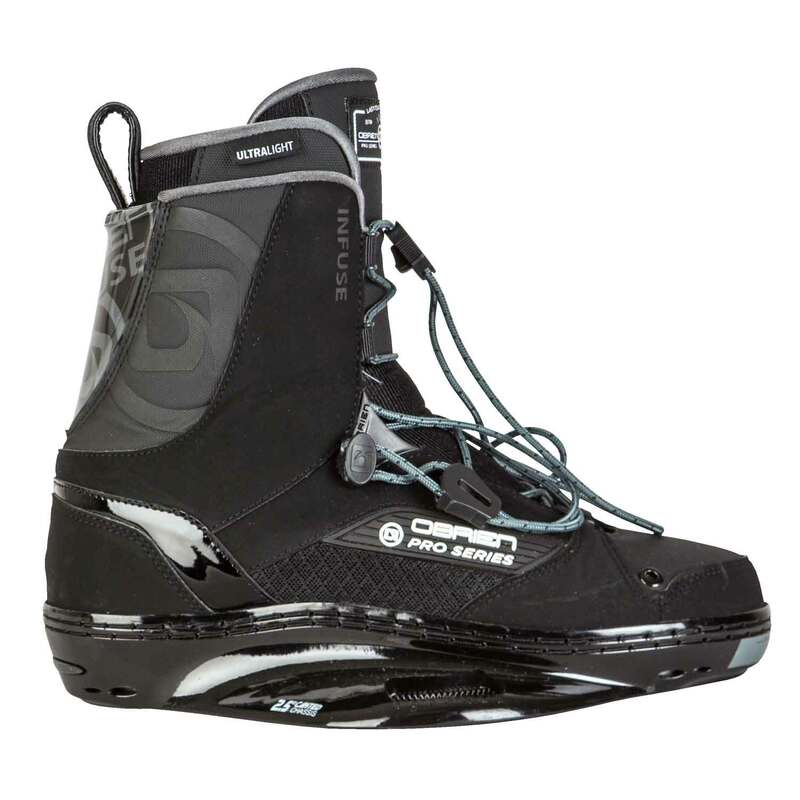 Therma-welded upper for minimal weight, maximum drainage and breathability. The Integrated TPU Ankle Strap pulls your foot into the “heel pocket”. LINER - Ultralight Structure 2.0 Liner – New liner provides lighter weight, greater comfort and control. CHASSIS - LUX 2.5º Canted Chassis – Immediate heel/toe response, canted to ease stress on your legs. FOOTBED - Orthotic comfort and support, enhanced by our Power Arch which supports your arch on bigger landings. 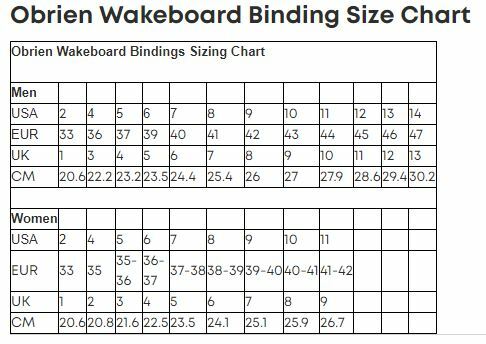 Sizes graded to fit your foot like a shoe. LACING - Dual lace zones for pinpoint adjustment all over your foot. Traditional thick laces provide the most secure fit and durability. Your boots won’t loosen up while riding. O'Brien Lux Chassis - Our lightest and most ridged classic ever. Maximum comfort, response and no heel/toe lift. O'Brien Lasted Construction - Shaped to the contours of a foot to make a left and right specific binding. 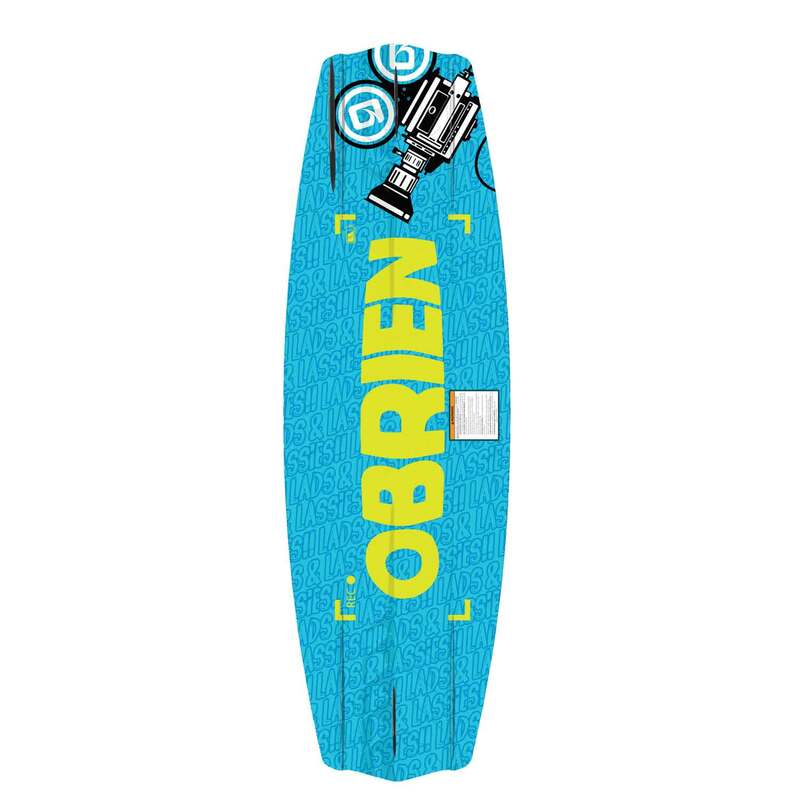 O'Brien 6MM Inserts - All O'Brien wakeboards are equipped with industry standard 6 millimeter inserts so if TSA loses your hardware or it falls off the dock? 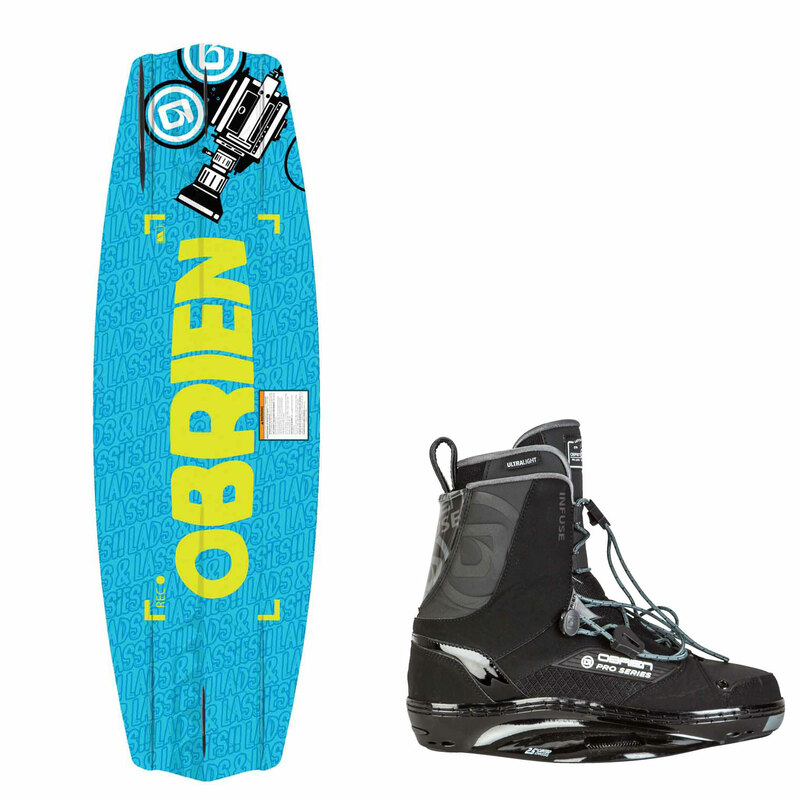 Borrow some from your buddy and keep shredding.